If you wanted to find a checklist of the bird species of Minnesota, it is relatively easy to locate a copy and I have discovered that holds true for the other vertebrate animals as well. With a little searching you may be able to find a checklist to Minnesota’s vascular plants and even checklists to Minnesota’s invertebrate animals such as butterflies or dragonflies. Several years ago I searched for a spider checklist and discovered there was no such thing. I decided to assemble what is known about spiders in Minnesota from the literature and produce that checklist. Little did I know how much work that would entail. The list found herein is preliminary and regular revisions occur as new species are discovered in the state. 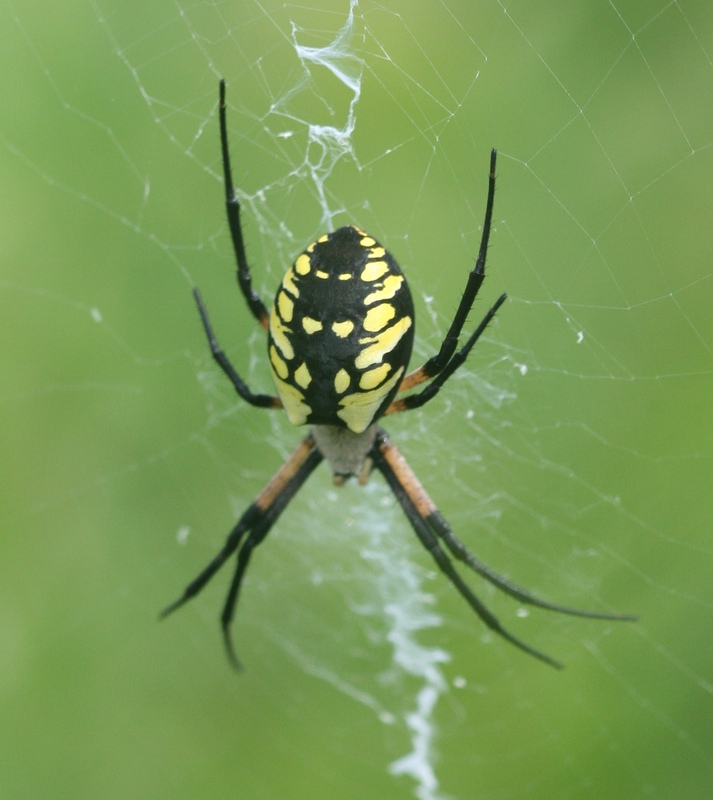 Very little is known about the abundance and distribution of Minnesota’s spiders. 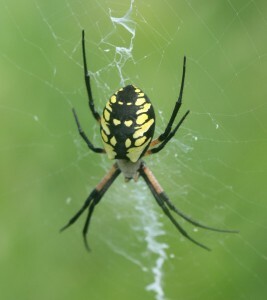 Even a common, easily recognized species like this Golden Argiope has but a handful of records across Minnesota’s 87 counties (34 counties with records or about 39% as of 14 March 2019). You can help with that understanding by submitting photographs to the Spiders of Minnesota Project on iNaturalist. This website is not intended to help you identify that spider in your house that may or may not have bitten you. For such instances, I recommend that you visit BugGuide and either search through the Guide to find a spider that looks like yours or submit a photograph to their ID Request. BugGuide is designed to help users identify unknown insects and spiders and their experts are very helpful (though I am admittedly biased). This site is maintained by Chad Heins, Associate Professor of Biology at Bethany Lutheran College in Mankato, Minnesota.